This is a lovely place. A sizeable beach - mostly sand but with some rock pools - and which is very much a dog beach. It has the added bonus that it's near a car park and the lifeboat cafe which overlooks the sea. The cafe has a wide range of food and drink, including lots of seafood if you're peckish after a bracing walk. 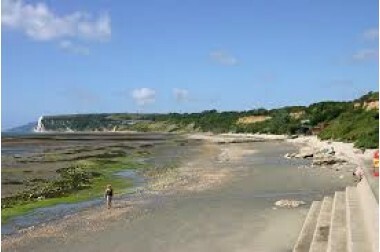 My favourite Isle of Wight beach.